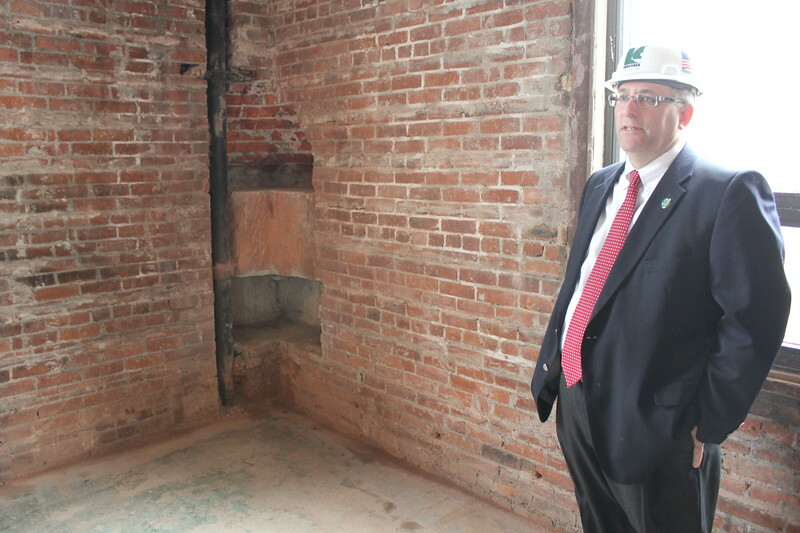 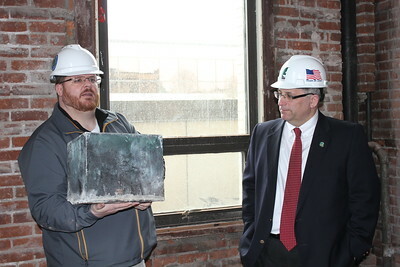 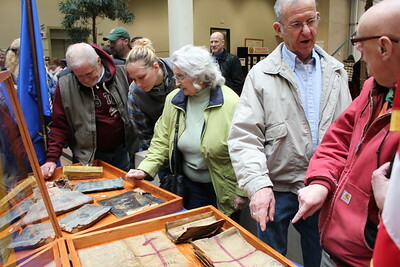 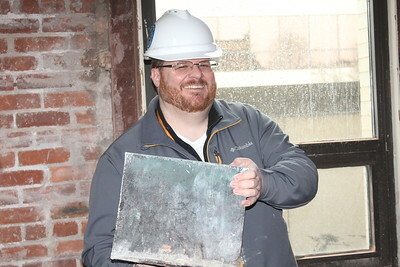 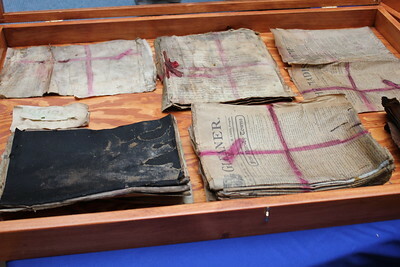 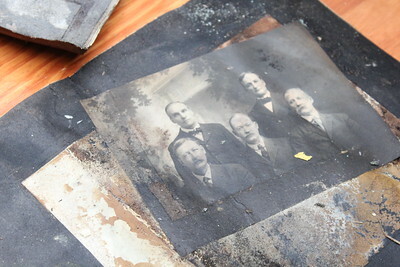 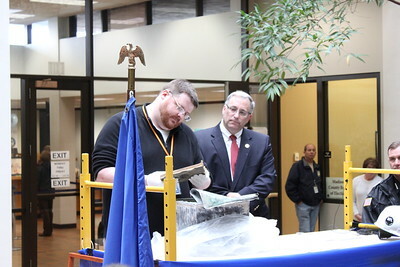 Charles Pritchard - Oneida Daily Dispatch Madison County officials unearth a time capsule from the county courthouse on Monday, April 16, 2018. 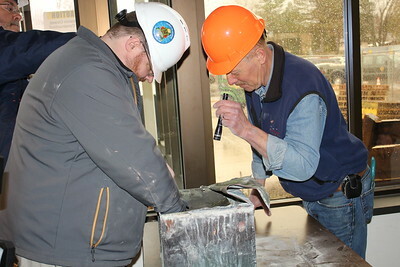 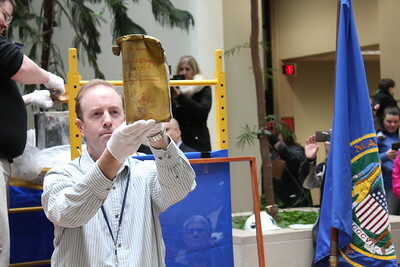 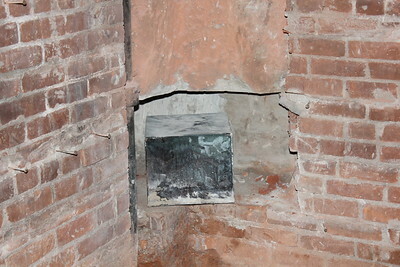 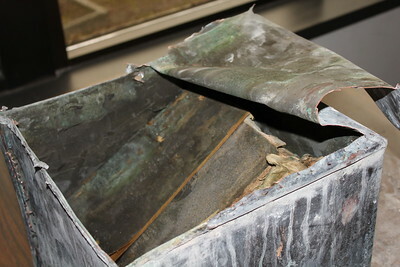 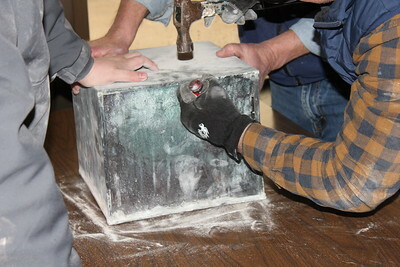 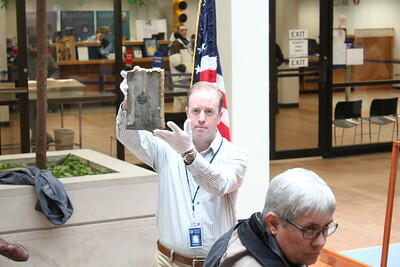 The time capsule was sealed behind the cornerstone of the building on Jan. 7, 1909, and was removed while the courthouse undergoes renovation. 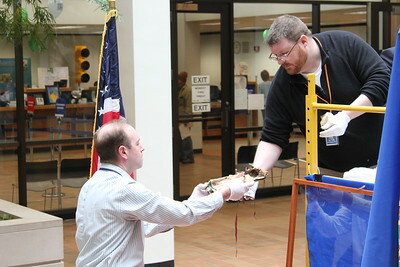 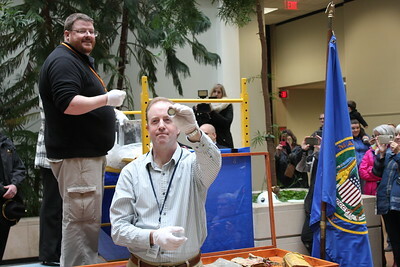 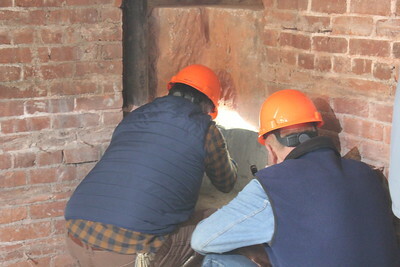 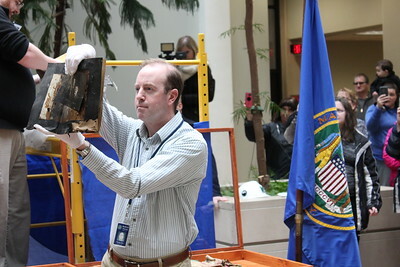 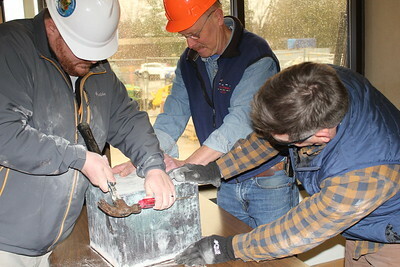 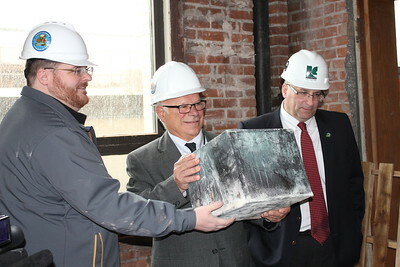 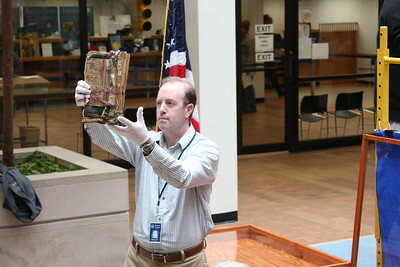 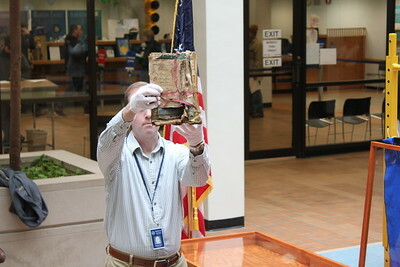 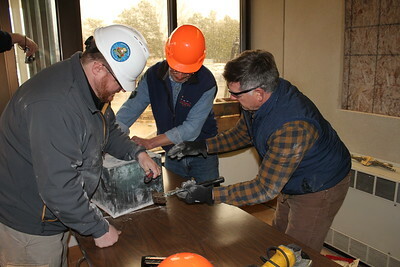 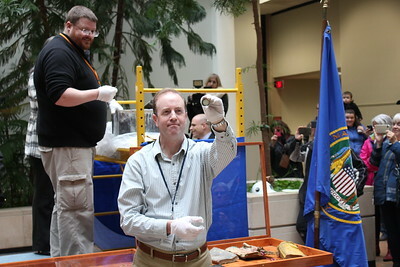 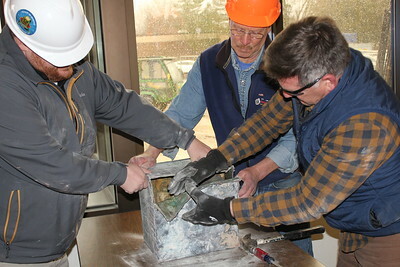 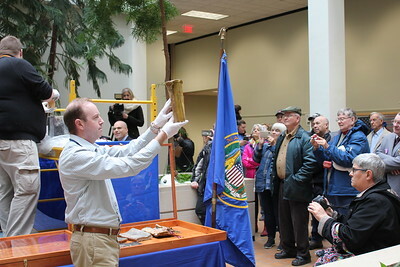 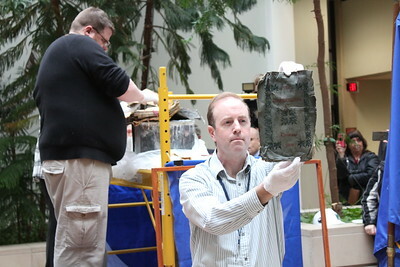 Madison County officials unearth a time capsule from the county courthouse on Monday, April 16, 2018. 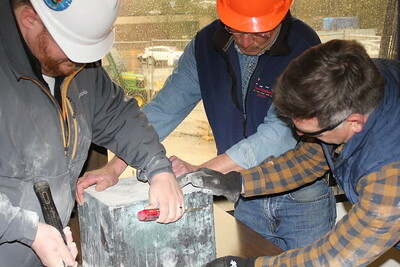 The time capsule was sealed behind the cornerstone of the building on Jan. 7, 1909, and was removed while the courthouse undergoes renovation.